Note: packaging has 2 head brushes with AU plug. 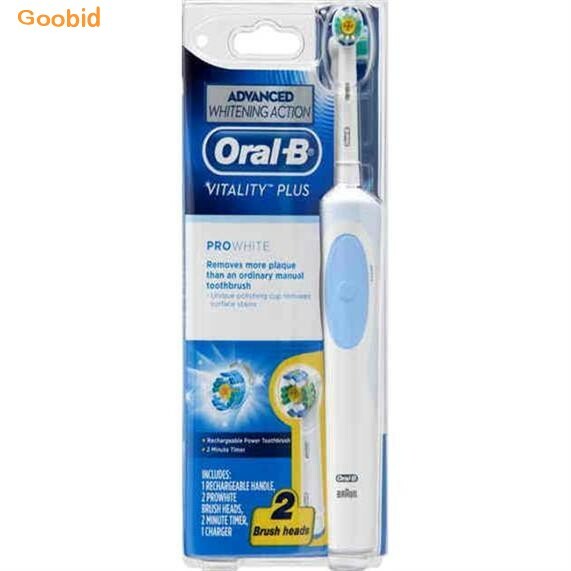 Oral-B, the brand more dentists use themselves worldwide. toothpaste for natural whitening and polishing action. - Over 60% Gingivitis Reduction. - Oscillating Cup-shaped Brush Head. - Unique INDICATOR (head replacement needed). - Compatible with FlexiSoft and ProBright Brushheads. For effective plaque and stain removal. 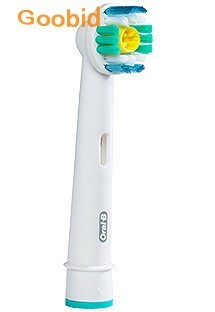 The Oral-B Vitality Sonic rechargeable electric toothbrush uses advanced sonic technology to drive CrissCross™ bristles nearly 20,000 times per minute. Vitality Sonic reduces plaque effectively and removes surface stains to naturally whiten teeth.